Chief Justice of India (CJI) Dipak Misra and all judges of the Supreme Court have decided to contribute Rs 25,000 each for the State of Kerala voluntarily to the Kerala Chief Minister’s Distress Relief Fund. The unprecedented floods have caused massive destruction in the coastal state as it has suffered a loss of property and life. 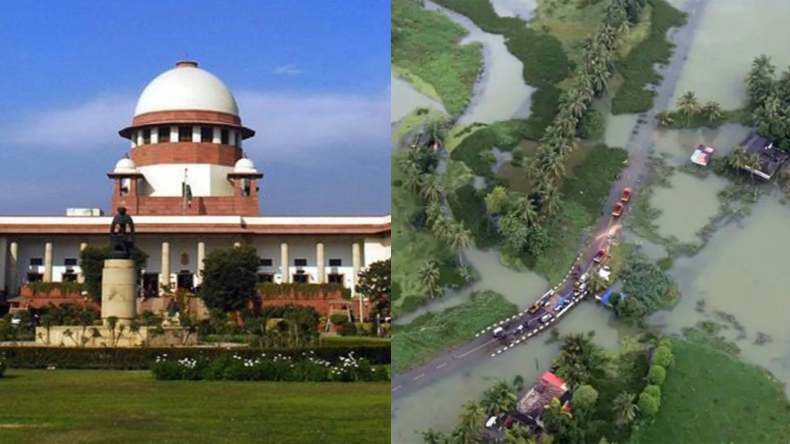 As donations pour in for flood victims of Kerala, Chief Justice of India Dipak Misra and all other judges of the Supreme Court have decided to donate Rs 25,000 for flood hit-Kerala. Various state governments, film celebrities, various non-government organisations have come out in support of flood victims, clearly depicting that humanity still exists. The unprecedented floods have caused massive destruction in the coastal state as it has suffered a loss of property and life. Over 250 people have been killed so far due to flood-related incidents. The southern state has suffered a loss of over Rs 19,000 crore. Over 1 million people are currently lodged in the rescue camps operated by authorities and various non-governmental organisations. As the state continues to battle flood, the situation in the state has gradually improved, with weather department’s prediction of no rains in next 5 days. Union Home Ministry on Monday declared the floods in Kerala a calamity of severe nature. Commercial flights from Kochi Airport commenced yesterday, bringing a relief for the teams involved in rescue operations. Now the authorities are focusing on rebuilding the state as it faces a shortage of necessary items, including food and medicines. Rehabilitation process has been intensified as millions have become homeless – over 1 million have taken refuge in relief camps. The government is concerned about the health of citizens as flood waters have receded in various parts of Kerala. Union Health Minister JP Nadda on Monday said over 3,000 health camps have been set up in flood-hit Kerala for flood victims.